James Bryce (1838-1922), 1st Viscount Bryce of Dechmount, was a jurist, historian and politician for whom the University's James Bryce Chair of Politics is named. 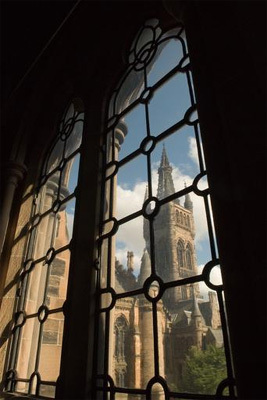 Born in Belfast, Bryce studied at the University from 1854 to 1857. He went on to study at Trinity College Oxford for five years, graduating BA in 1862, and won a scholarship to Oriel. He was called to the bar in 1867 and was Regius Professor of Law at Oxford from 1870 until 1893. He was Liberal MP for Tower Hamlets, 1880-1885, and for South Aberdeen, 1885-1907. Bryce held several positions in Government between 1895 and 1907, including a spell as Chief Secretary for Ireland. He wrote the influential study of American democracy, The American Commonwealth, and was British Ambassador to the USA, 1907-1913. He was ennobled as Viscount Bryce in 1914. Bryce had been a keen traveller in his student days and continued to travel widely in his later years. He was was an influential critic of the mistreatment of the Armenian minority population of the Ottoman Empire. In Britain, he played an important role in the establishment in 1883 of the settlement house Toynbee Hall in London's East End, and of the British Academy in 1900. He was President of the Academy, 1913-1917. The James Bryce Chair was founded in 1965 as a Chair of Government, but the designation was changed in 1970 to Politics. Born 10 May 1838, Belfast, Northern Ireland.